In the unthinkable event that you need to put in a claim to your auto insurance, many people are unaware that they are not completely protected. Something as simple as rental coverage is often overlooked or omitted when negotiating premium coverages. Why is replacement coverage so important? It is enough stress to have to deal with your damaged property and the claims process. Now imagine if you have to Uber back and forth, ask friends and family for a ride, or share a car. For a couple bucks a month you can be covered. Peace of mind is priceless. Great! So you have taken the right path and decided to look into rental coverage. Best advice, do not look for the lowest price. Investigate your options. Most carriers base the rental on comparable size, not brand. Why is this important you may ask? Most basic rental coverage will provide you with a replacement car. The standard fleet with most replacement car providers are makes such as Nissan, Ford, or Chevy. These replacement cars are comparable by size but may be a big change for a customer that has all the bells and whistles. For a few extra dollars, you can obtain coverage that will replace your vehicle with something more similar to your existing vehicle. This is an important factor when large repairs take place. If the repair shop will have the vehicle for an extensive amount of time, your comfort should not be compromised. 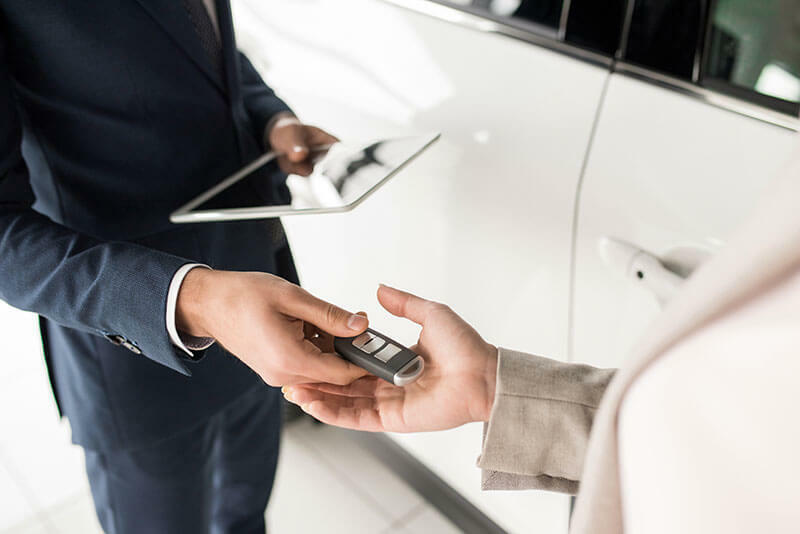 Most customers that have around $50-$55 per day rental coverage are able to obtain a higher end replacement vehicle such as Cadillac or Mercedes Benz. This is also valid for SUV drivers. Most replacement SUV rentals are around $50- $55 dollars per day. Anything less may not cover the cost of a replacement SUV. Average monthly rental costs vs. out of pocket expense. Depending on the amount of coverage you choose, most rental coverage through your auto policy can start at around just $5 dollars a month. These coverages will cover either per day or until a certain limit is reached. An example would be choosing replacement coverage for $5 a month on your policy. This would generally cover a $25-$30 dollar per day replacement vehicle for up to 30 days. The other end of the spectrum would be paying for a replacement vehicle due to no coverage. Most rental providers will give a discount to the body shops customer. Without rental coverage you will be looking to pay around $30 dollars a day for a standard replacement car. This adds up very quickly! At the end of the day, do the math. The best decision is to obtain the rental coverage through your auto policy. Your wallet with thank you later! It’s a pretty bad feeling when you look at the side of your high-performance car and see a huge dent or scratch. Luxury vehicles are supposed to look like they just rolled off the factory floor, not look like they’ve been in a crash-up derby. The next step is getting your ride fixed so you can be back on the road like nothing ever happened. But a lot of Jaguar, Audi and Aston Martin owners aren’t sure where to take their car to get the best service, parts and repairs. Start your search with a body shop that can do it all, so you can rest assured the right mechanics and repair specialists are working on your sports car. Figure out if they have product knowledge—do they have certified technicians that work on your specific model? What about the correct tools? With high performance machines, you need authorized repair equipment. Don’t settle with shops that claim any tool will do. You need to consider your warranty as well. If you go with manufacturer-approved parts and go with the correct repair methods, you warranty will remain valid. If you have a motorcycle that needs repaired, the shop should be able to cover that as well. That way, you never have to try to find another repair or body shop every again. 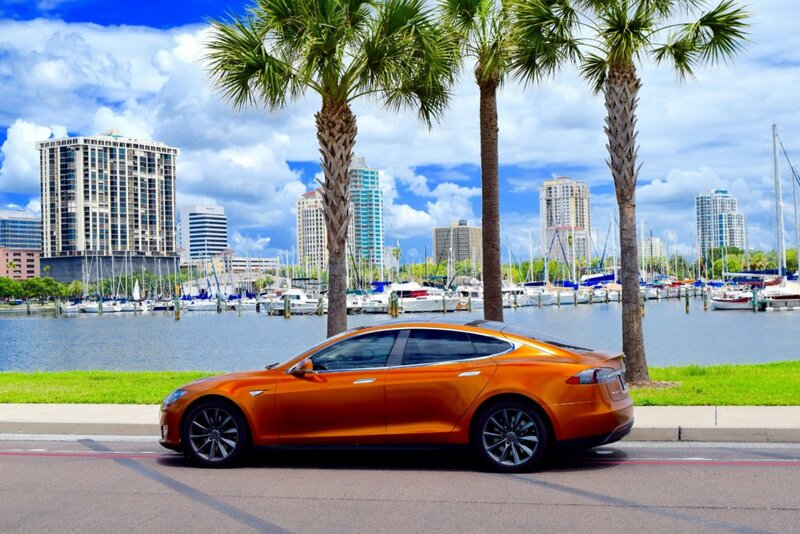 Need Range Rover or Tesla repair in South Florida? For over three decades, 1st Class Auto has been the number one choice. Call 1st Class Auto to schedule an appointment: 877-380-6854. Not everyone loves their car. But for some of us, there’s a reason we spend the extra money and drive a high-performance machine. Whether it is a sports car or luxury automobile, you want it to look as good on the outside as the engine runs under the hood on the inside. When it comes to keeping your vehicle looking like it did on the showroom floor, routine cleaning, waxing and care are required. But the tasks themselves can be long and dirty and it is often a lot easier just to have someone else take care of it for you. Here are a couple of things you should be looking for when shopping for a company to detail your car. One, look for a place that does hand washing, to ensure to excess scratches from the machines don’t happen and water pressure can be controlled. Two, look for different packages and pricing. Maybe you just want the car washed and don’t need the inside vacuumed or you are wanting a bunch of things done and want to save money by bundling services. Next, make sure the facility offers next-level services, such as color restoration, scratch removal, glass, tires, moldings and urethane parts. 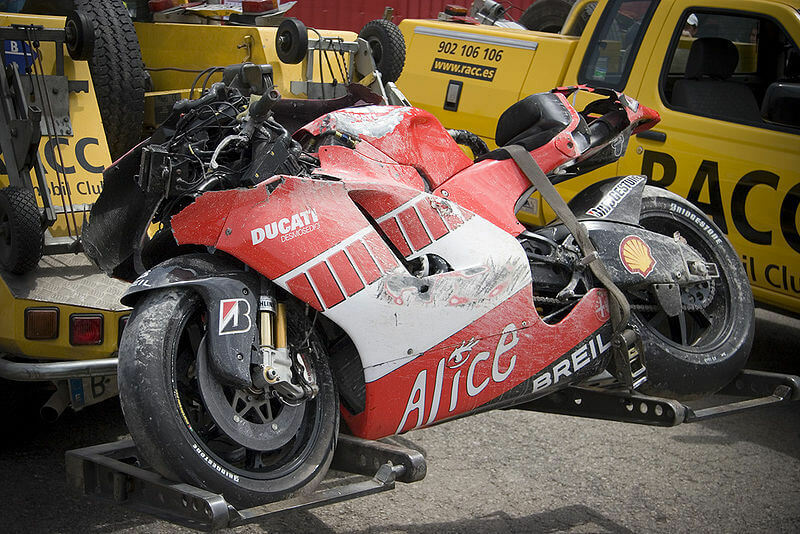 If you have been in an motorcycle accident, it can be a very scary time. You are concerned about your health, the other drivers and passengers, the damage to the vehicles, insurance concerns, legal ramifications, etc. That last thing you want to do is add more stress and forget some crucial details. Here’s a quick checklist to ensure you are covered when a bike wreck occurs. 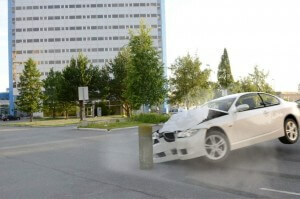 One, obviously make sure you and those around you are safe and cleared from the wreck site to prevent further injuries. Seek any medical attention you may need. Two, exchange insurance information with the other driver(s). Three, deal with your bike. It starts with the correct repair process. If you can’t drive it, then you will need to get it towed to the repair shop. 1st Class Auto will pick up your motorcycle in Florida at no extra cost. Don’t wait around for a random tow truck driver or have your bike moved twice because you are not sure where to send it. Four, make sure certified technicians are working on your motorcycle. A Honda is very different than a Harley or a mini bike. 1st Class mechanics have the correct certifications and experience to ensure your bike is repaired right, the first time. If you are in a motorcycle accident and need to get your bike repaired, call 1st Class Auto: 877-380-6854. The fact is, there are so many factors outside of the make and model that claiming a specific car or brand is always more expensive or cheaper to insure is incorrect. The list of factors that go into calculating a rate/premium can go on for pages, and the car is only one line out of many in that equation. People often think that the insurance they get online is more competitive than smaller insurance agencies. The truth is that online insurance companies calculate a rate based on an equation with no negotiating room. Local agencies know what is necessary for your specific area and can be more willing to negotiate a price based on your needs. If you want the best price, you have to shop online and in-person, making sure to negotiate and compare along the way. In most cases, unless you have comprehensive coverage, a basic auto insurance policy will not cover the theft of your vehicle. Typically, your car insurance will only cover damage caused to your vehicle or damage you cause to other people’s vehicle. If you believe that your insurance covers theft, be sure to call your insurance agent to make sure. Pick whatever color you like for your car because it will not affect the cost of your insurance. If you still don’t believe it, check out this Forbes article to see which types of cars are most likely to receive a ticket (which can affect your insurance cost). Believe it or not, your insurance agency does consider your credit history when calculating your insurance costs. Even if your credit is bad though, you don’t need to worry too much. Your credit score is by no means a major factor in determining insurance premiums. It is just one of many minor items that are used in the equation we talked about earlier. Auto accidents come in all shapes and sizes, so it’s hard to say that certain actions must be done in order immediately following a collision. Your actions will depend on the severity of any injuries, how many people are involved and the location of the accident. There are specific steps that you will need to take, however. Here’s our advice on what to do after an auto accident. If you happen to be in an accident on a busy highway, it’s important that you’re aware of your surroundings. If you need to get out flares or direct traffic, go ahead and do so. Also, attending to any injuries should be the first thing you do. Call an ambulance if necessary. Police should be called if significant damages and/or injuries have occurred. Never, under any circumstances, be a hit-and-run driver! No need to be in a hurry either. What’s important now is staying at the scene and exchanging information with all parties involved while you wait on the authorities. Get names, numbers, addresses, drivers’ license numbers, license plates and insurance information from the drivers involved. Any lawyer would tell you not to admit guilt, so you don’t assume legal liability before the details are worked out. Your camera phone is your best friend here. Take pictures of any damages and if necessary, talk to bystanders. It may be beneficial, in some circumstances, to get the name and number of a witness. After everything has been taken care of at the accident scene, now you have to deal with the outcome. This involves contacting your insurance company and making a claim, keeping track of any medical expenses and finding an auto body shop to fix your damaged vehicle. Be truthful with your insurance company and follow the instructions they give you. Remember, they will suggest an “authorized” collision repair center for you, but you have the legal right to obtain repairs to your vehicle at any shop of your choosing. You may also need to arrange for a tow-truck if you can’t drive away from the scene. 1st Class Auto offers transport and towing service to all of our customers and when it comes to repairing your vehicle, we’ve got it covered! Our collision repair is manufacturer-approved and you can feel confident when turning it over to us. There are many things to think about and consider if you have been in an automobile accident. The number one concern should be your health and the safety of those around you. Once you are physically safe, the next thing you have to do is evaluate the damage and see what should be the next step. For starters, remember that you are not a mechanic or an auto repair expert. Sure, you may know a lot about your vehicle, but there’s a reason there are specialists, especially when it comes to foreign and luxury vehicles. Just because you don’t see a huge dent or something slowly leaking onto the blacktop, doesn’t mean that there isn’t a bigger issue going on under the frame. Bumpers, for example, can be made of all kinds of different absorbent materials. On the outside the bumper may appear fine, but the material on the inside could be deformed and damaged. Another thing to keep in mind is the fact that you have insurance, for this very reason. Get your vehicle inspected after an accident and see what your insurance plan will cover. You don’t want to be driving down the road and your engine starts smoking out of nowhere because of a previous accident. Also, if you were to get involved in another accident, you can’t have a compromised body or bumper. If you have recently been in an accident, get your vehicle inspected by 1st Class Auto, to ensure everything will be taken care of in a professional and quick manner. When it comes to luxury automobiles, there are many different options from which to choose. Are you looking for speed over class, or do you want a foreign machine that is barely road legal? In the United States, high-priced cars fall into two categories: luxury and sports cars. Here’s a quick overview of the top selling cars in both of those categories. It’s good to know what people are buying, especially if you are in the market yourself. When it comes to sports cars, the iconic Ford Mustang is the world’s top-selling sports car. There is a lot of competition out there. The Mustang competes against other American “muscle cars” like the Nova and Challenger, but also against foreign manufacturers as well. The Mustang is reasonably priced (the 2016 has an MSRP of only $23,895) and the car holds its value as there are a lot of collectors of the vehicle. When it comes to luxury cars, the best-selling vehicle is the Mercedes Benz C-Class, followed by the BWM 3 series and the Lexus ES. If you own an elite luxury car or sports car and you need detail services, towing, car painting, collision repair or general auto body services, call 1st Class at 877-380-6854. When people think about a mechanic or auto repair shop, they often focus on the word “repair.” Auto body shops like 1st Class Auto do much more than just repair your vehicle. The truth is, 1st Class Auto work to make sure that their customers are completely satisfied with their service from start to finish because they are more than just an auto body shop. Nearly every auto repair shop offers some type of towing service for their customers, but 1st Class Auto offers you much more than towing. They help customers with emergency refueling, battery jumps, lockouts, flat tires and much more because the goal is to take care of customers whenever they need it, not just when it is profitable. If you were involved in an accident and your vehicle has been towed, you might need some type of rental car. That is why 1st Class Auto works with several car rental companies to offer free pick up/return and special rates on car or truck rentals for customers. They will even make a reservation for you while you contact loved ones or an insurance agency. 1st Class Auto works to prove the quality of their service with every vehicle. While other auto repair shops may tell you the same, they do not mean it unless they offer warranties on their work. Their nationwide Limited Lifetime Warranty covers all body and paint work on your vehicle. The only exceptions are made for certain modified custom works or rust repairs (which have no warranty). This is just another part of what makes 1st Class Auto more than an auto body shop. So the next time your car needs repaired, painted, detailed or serviced, be sure to choose a place that does more than the minimum. Choose 1st Class Auto. By now, must people have come to realize that things aren’t always as they are advertised. That is especially true when it comes to mechanic work and repair shops. You want an establishment that you can trust but that also isn’t going to break the bank every time you need work done. More specifically, when looking at a collision repair shop, you need a location that is familiar with your vehicle and that has worked on similar, high-performance machines. Next, consider whether or not they stand behind their work. A lot of places will claim they are the best or that their paint work is superior. But after a year of driving, the paint starts to flake. The only way to be sure is to have a lifetime warranty. A nationwide limited lifetime warranty will protect your body and paint work over the long haul. Make sure you check the conditions of the warranty to make sure you are fully covered. Also, make sure you do the necessary steps to preserve your car. Don’t wash the new finish right away, for example, as the curing process takes time. Be sure to hand wash your vehicle with warm water and a mild auto wash detergent in a shaded area and remove stains and bird droppings as soon as possible to prevent acid etching of the new paint finish. Right before World War I, automobiles could go over 100 MPH. Even back then, the “horseless carriage” could cruise on the open road. But going much faster than that took some time. It took real mechanical excellence and know-how. It wasn’t long before speedometers were reading 140, 160 and 180 MPH. Car manufactures wanted to produce a new line of cars, something between luxury and sport. At the turn of the century, Jaguar, Audi, Aston Martin, Tesla, Range Rover and Volkswagen had perfected that model and concept. Off the track and far from the roads, in the salt flats, cars are currently trying to break the land speed record. Their vehicles look more like fighter jets. And they are often piloted, err, driven by pilots. The Bloodhound supersonic car has hopes of reaching over 1,000 MPH, next year, which would break the record by a couple hundred MPH. If your luxury vehicle or sports car is in need of repair, contact 1st Class Auto right now: 1-877-380-6854. Protect your investment with a factory authorized repair specialist—1st Class! In a new report released by CNN, more and more car repair shops and insurance companies are doing whatever it takes to have the cheapest outcome on your work and claim. It starts with the insurance companies. When it comes to your repairs, the report found that more and more companies are pushing for cheap and even sometimes dangerous parts to be used. The first thing they do is guide the consumer towards auto body shops that they know will break the rules and be aligned with their shady practices. “Owners say the insurance companies steer their policy holders toward body shops that follow their rules, providing a vital source of business,” CNN reported. Once you are locked in with a shady garage, the next stop is using a band aid for a bullet hole. The report talks about headlights that were glued together and new hoods that were prone to come apart. The question the consumers have been asking is, What can I do to ensure I am getting quality service and the right parts are going into my car? Make sure you are going with an established, reputable auto repair shop for your luxury, sport and high-performance automobiles. 1st Class Auto, for example, will never cut corners on parts or labor. You vehicle will be restored to its original beauty, as if it just was rolled off the line. Don’t take a chance—call 1st Class today. At the end of the day, it doesn’t matter how it happened—if your European automobile, sports car or luxury vehicle is damaged, then it needs fixed. Instead of calling different body shops, arranging transportation or towing services, trying to figure out what company is qualified for what task, etc., etc.,—just contact 1st Class Auto. To begin with, all estimates are free from 1st Class. So you will know what you are getting into before any work is done. Once you’ve spoken with a 1st Class specialist, you can sit back and relax. 1st Class European Authorized Coachworks can handle all the pickup and delivery issues within the entire state of Florida. If you are going to be gone on business or pleasure, call 1st Class and have it all arranged to be taken care of while you are away. Carbon fiber repair, bench jig systems, alignment, detailing services, dent repair and more from 1st Class. They even have you covered if you need to rent a car as they can help arrange those services. Contact 1st Class Auto and have your luxury vehicle fixed by one of our factory certified auto repair specialist: 877-380-6854. If you have been in an auto accident, then you have to deal with a lot of different things. You have to worry about your health, the status of your vehicle, any other vehicles that were involved, insurance claims and much more. The last thing you should have to worry about is whether or not your luxury vehicle will be repaired properly and made to look like an accident never happened in the first place. The best way to ensure your repairs will be handled expertly and efficiently is to go with an authorized repair shop. Take 1st Class Auto in Pompano Beach, Florida, for example. They are a factory authorized collision and repair shop for Jaguar, Audi, Aston Martin, Tesla, Range Rover and Volkswagen. What does being an “authorized dealer” mean in terms of your repairs? For starters, it means specific mechanics are working on your vehicle and those workers are experts for that make and model. One size does not fit all when it comes to you luxury, SUV or specialty car. The mechanics and auto body repair specialists have the product knowledge, expertise and equipment, along with the correct repair methods and how to make sure your car or truck looks like it just got off the showroom floor. If you have been in collision, call 1st Class right away so you don’t have to worry about taking a chance with a company that isn’t an authorized dealer. If you have recently been in an automobile accident, then you have a lot to deal with concerning your health, safety, insurance and the vehicle itself. The last thing you want to have to worry about is dealing with maintenance issues or having to be concerned with whether or not all the parts and pant look exactly how they did before. With 1st Class European Authorized Coachworks, you won’t have to wonder whether or not anyone will notice the fact that you’ve been in a wreck—because they won’t. Here’s a quick overview of the 1st Class car painting procedure so you get a better understanding of how 1st Class sets themselves apart from the rest. A great paint job starts with the right technology. That’s why 1st Class uses the newest waterborne technology from Spies Hecker, which is a premium refinishing system used in Europe. The next step is making sure the paint that is to be used is the exact color of the one that was used on the factory floor. 1st Class will obtain the paint code from the vehicle and then takes that one step further—by using an extensive library and database that has an elite color spectrometer, mixing to make any color match is no problem at all. Before any paint or color is added to the vehicle, a color variance is mixed to produce a spray out panel for accurate and quick color matching. Other body shops have a hard time mixing and making the color line up, but 1st Class will get it right. 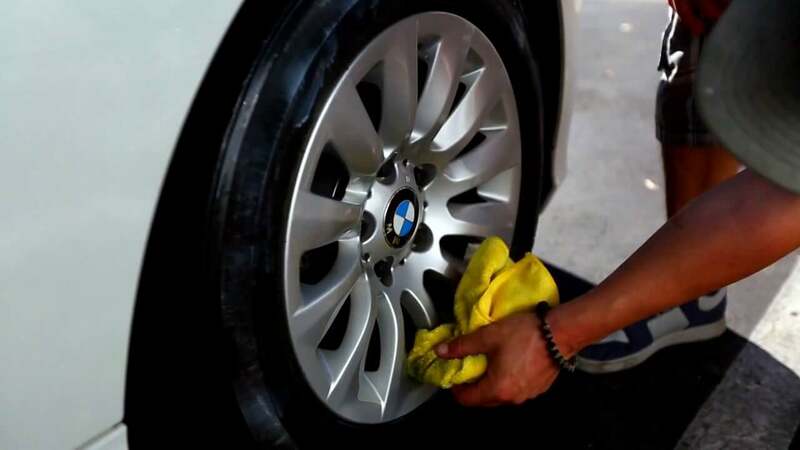 When you need the best painting procedure done to your luxury automobile, then you need 1st Class Auto, where the method and process make all the difference. It’s pretty easy, from the name alone, to infer that 1st Class European Authorized Coachworks offers auto body repair services for foreign and luxury cars. But a lot of residents across the country aren’t familiar with the full extent of what 1st Class has to offer. To start with, let’s glance at the location—Pompano Beach, Florida. That means that if you need collision repair work anywhere in the Sunshine State, 1st Class has you totally covered. There is statewide 24-hour towing and transport service for vehicles in Florida. And the customer-first approach from 1st Class extends to the entire United States as well. 1st class is certified aluminum structural repair facility for Audi, Aston Martin, Jaguar, Range Rover and Tesla. One, millions of tourists flock to Florida every year. If you are one of them, don’t leave your broken automobile at home—1st Class can repair the damage while you vacation or live in your season home. And two, if you are visiting from another state and an accident occurs on the Florida roadways, 1st Class can help you get a rental car, fill out the insurance paperwork and get you going where to need to be heading. Even if you’re on the side of the road, just give a call to 1st Class and they will come directly to pick up and take care of your ride. Concerned about the price when dealing with a world leader in luxury auto body repair? Don’t be, as the estimates are upfront and always free, so you will know exactly what you are about to get before any work is started. 1st has you covered for carbon fiber repair, computer repair, jig systems, wheel alignment paintless dent repair and so much more. It’s all in the name—1st Class Auto.